Hanoi many ban traffic from several bridges when Superstorm Mangkhut arrives early next week. Nguyen Van Huong from the National Centre for Hydro-meteorology Forecasting said the wind speed in Hanoi will be around 50-74 km/h so the authorities should plan to ban traffic on Nhat Tan and Vinh Tuy bridges. Since a huge amount of rainfall is expected in the north, there may be floods in Thao, Da, Buoi and Bui rivers. More hydropower discharges, flash floods and landslides are very likely in provinces which have already suffered from heavy rains like Son La and Hoa Binh. 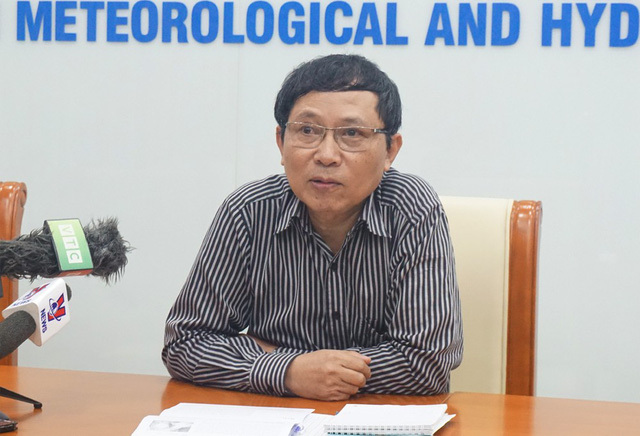 The plan was announced during the press conference with Vietnam Meteorological and Hydrological Administration about Storm Mangkhut on September 13. According to Le Thanh Hai, deputy head of the Vietnam Meteorological and Hydrological Administration, Storm Mangkhut reached the vicinity of Leizhou Peninsula, China at 5 pm on September 13 with a wind speed of 200-220 km/h. "We hoped that the storm will weaken when it crosses Leizhou and enters the East Sea on September 15," Hai said. It is forecasted that the storm will enter the Gulf of Tonkin and land in Vietnam's northern region. Hai said it was still very difficult to predict the storm intensity. It is expected that the wind speeds will be 134-166 km/h when it arrives and covers all the Gulf of Tonkin from September 16 to 17. "Mangkhut will land in the northern region at noon of September 17. Since the tides also rise during this time, the water level may rise to 4 metres. Authorities should reinforce the embankments from Quang Ninh to Nghe An provinces and be careful with fishing and tourism activities on nearby islands," Hai said. Since Mangkhut has 60% chance to enter the northern Gulf of Tonkin and 40% enter the central region, its effect may reach Quang Tri Province. The northern region will have constant rains from September 17 to 19 with a total 300-400mm of rainfall.